Australia Day has not always been 26th January. In 1915, it was celebrated on 30th July in order to raise funds to help sick and wounded soldiers. 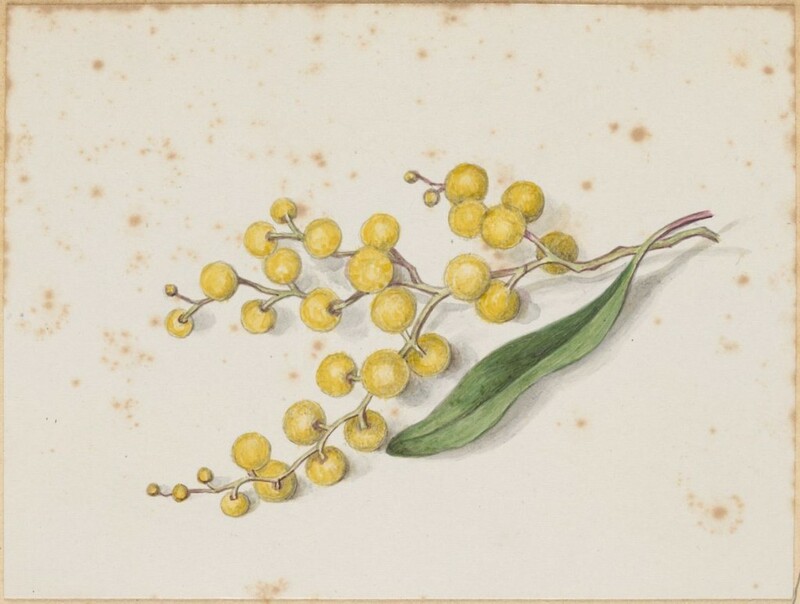 On Saturday 2 October, The Australasian published a letter by a young girl describing some of the sights in the Rutherglen district on that day. It was obviously a memorable day for her. 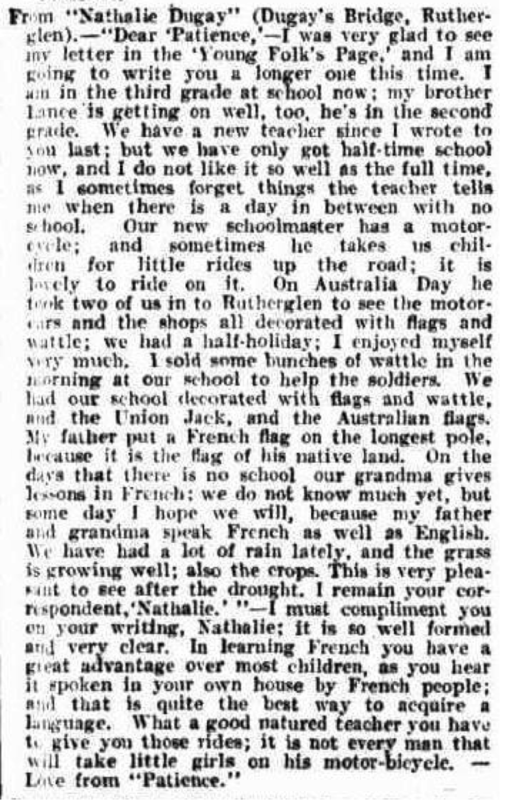 She describes selling wattle “to help the soldiers” in the morning and a ride on the teacher’s motorcycle to see the cars and flags on display. Times have definitely changed – her teacher would most certainly not be praised for taking “little girls on his motor-bicycle” today! Some areas have floods, we have bushfires! Fortunately, not all the time, but it is always a summer risk, especially on very hot days with strong northerly winds. Today was hot but not too windy, so the ‘beep’ of the Fire Ready app on my mobile phone this afternoon didn’t cause alarm. It was fairly close to home this time – a stump fire in the Puffing Billy yard according to a friend. It must have been fairly easily dealt with, as it soon disappeared from the app. Not so, many of the much larger fires in other areas of Australia already this summer. Six of our local brigades were reported as sending teams to continue the blacking out and patrolling of the Crib Point fire this afternoon. Fire was even more of a problem for our early settlers. 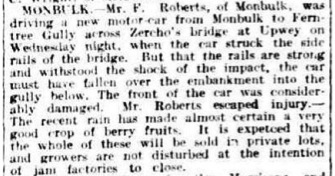 I have been correcting the text on newspaper articles about earlier bushfires for some time and intend to share some which have links to my family and/or the places they lived in a series of TroveTuesday posts. 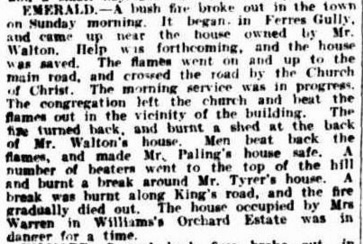 There were many fires in February of 1926 and newspapers included quite a bit of information about the firefighting efforts of the local people – including the congregation of one of the churches! EMERALD. – A bush fire broke out in the town on Sunday morning. It began in Ferres Gully, and came up near the house owned by Mr. Walton. Help was forthcoming, and the house was saved. The flames went on and up to the main road, and crossed the road by the Church of Christ. The morning service was in progress. The congregation left the church and beat the flames out in the vicinity of the building. The fire turned back, and burnt a shed at the back of Mr Walton’s house. Men beat back the flames, and made Mr. Paling’s house safe. A number of beaters went to the top of the hill and burnt a break around Mr. Tyrer’s house. A break was burnt along King’s road, and the fire gradually died out. The house occupied by Mrs. Warren in Williams’s Orchard Estate was in danger for a time. This extract of a much larger article makes it very clear that the bushfire was right in the centre of Emerald. Ferres Gully is a description not in use today, but it obviously referred to the steep gully between the two present-day sections of Ferres Road. My great uncle George Ferres ran a dairy farm in the far side of that road and from 1922 to 1949 used a horse and cart to deliver milk and cream to houses in both Emerald and Clematis. George’s farm was probably in no danger from the fire which was rushing up the opposite side of the valley. 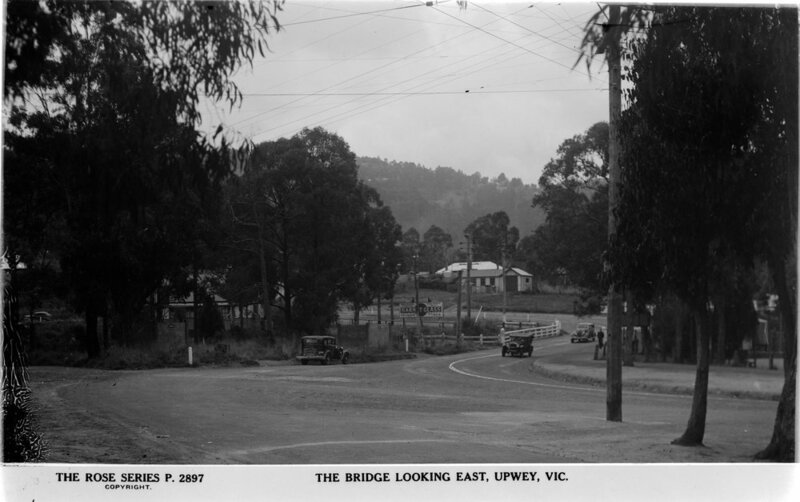 From Ferres Gully, it appears that the fire crossed the main road somewhere near the present Emerald Co-Op (Mitre 10) store heading up the hill past the Church of Christ ( now the Community House hall) towards the highest point in Emerald, Kings Road. The quick-thinking members of the congregation who raced out to fight the fire with branches hastily pulled from nearby trees no doubt helped reduce the spread of this fire. Their ‘Sunday best’ clothes are likely to have suffered somewhat in the process, I guess. I have been unable to identify the reference to ‘Williams’s Orchard Estate’. There is a William St and an Orchard grove in Emerald, but not near the area in which the bushfire was burning. As an amazing coincidence, whilst I was working on this post, the Fire Ready app beeped again – a ‘bushfire’ at the top of the same section of Ferres Road. It was declared ‘safe’ fairly quickly, but nearly an hour later the app reports that there are still two CFA vehicles in attendance! We are very fortunate not to have to fight fires the way our ancestors did!